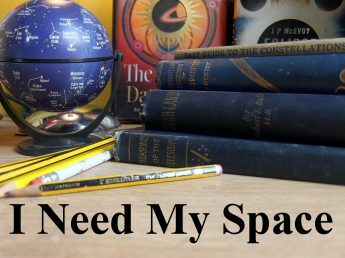 Neptune update… | I Need my Space! It’s been three weeks now since my observing visit to the amazing Elan Valley, and I still haven’t written up my observations. It actually seems like such a gargantuan task that I’ve been putting off doing it – and yet I usually enjoy it! Anyway, whilst browsing my photos I was pleased to see, in the corner of one shot, (I was actually taking a photo of Mars), I’ve captured Neptune again, with a 3.5 second exposure. The image isn’t good quality, I think perhaps due to the planet being right at the edge of the lens. But I can see it, and it’s clearly moved since my last picture. At 7.85 mag, it’s the dimest major planet, and of course, the furthest, so it’s fun to be able to track its path through the outer reaches of our solar system.